Now Offering: Free Portrait Service! Many of our clients have had difficulty obtaining patient photos with a level of quality necessary for marketing purposes. At Renstrom we understand the need for great photos in your marketing materials so we have set up a professional portrait studio in the lab! When your esthetic cases are completed, all you need to do is call us and we'll set up a portrait appointment so the patient can have their hair, makeup, and clothing looking just right for the portrait! The patient gets a professional portrait, and you get a great marketing photo and, best of all, it's free! This fall I was able to attend the U of M Student Vendor Fair. It is always fun to visit with the students, and you can just tell how excited they are to get out into the dental industry. One thing that caught my attention, as I heard it from multiple students, was how they were disappointed they wouldn't be able to send to us, since they will be practicing out of state! I thought that was a funny assumption, as we work with doctors all over, including throughout the state of MN, WI, ND, IA, and as far as NY and TN! But after I thought about that, it is understandable to assume you might only work with a lab that is local to you. It does give you the ability to run over and discuss a case if you'd like, get to know the technicians you are working with, and gives you the privileged of seeing our wonderful drivers on a daily basis! 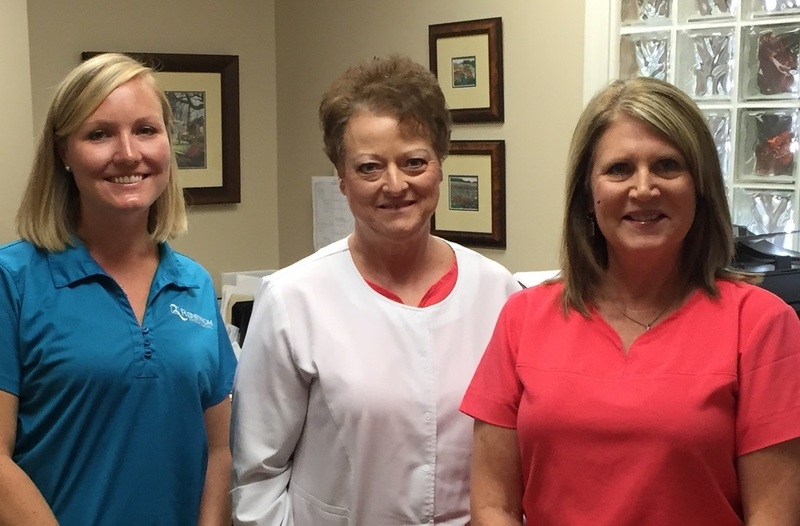 We love working with our in town doctors, but we are able to build that trustworthy relationship with offices out of town too. When looking for a lab, make sure you are looking for one who is providing the quality of products and services you are expecting, and is willing to work on building that relationship with you, whether that is down the road, or across the country. This September I was visiting TN for a friend's wedding, so my husband and I were able to stop by and see 2 great offices we work with in Knoxville TN. They both had started sending to Crocus Dental (before we merged), well over 10 years ago. We work them on a daily basis, and have a great relationship with them through casework, phone calls and written messages. It was such a treat to be able to visit them and get to tour their office! Both offices are full of such wonderful people, it really makes you appreciate those you work with and the pleasant relationships they provide. 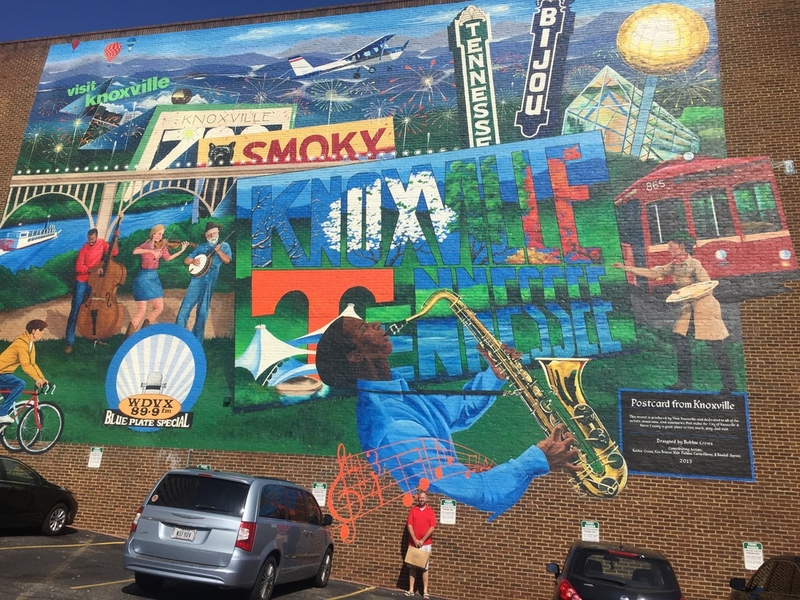 Plus, we got to see a bit of Knoxville - and what a fun town it is to visit! Then this October, Greg & Jeff were able to go out to New York and visit a few offices. Dr. Rosenstein is a doctor that we get to talk to multiple times a day, and are very involved with his daily casework. We had the pleasure of having Dr Rosenstein out to visit us, the Spring of 2014! (you can read that article here ) This time Greg & Jeff got to tour his office, and see what it's like in his neck of the woods! Whether you are working with a lab that is near to you, or a distance away, the important thing is to make sure you have built a relationship with the technicians working on your cases. 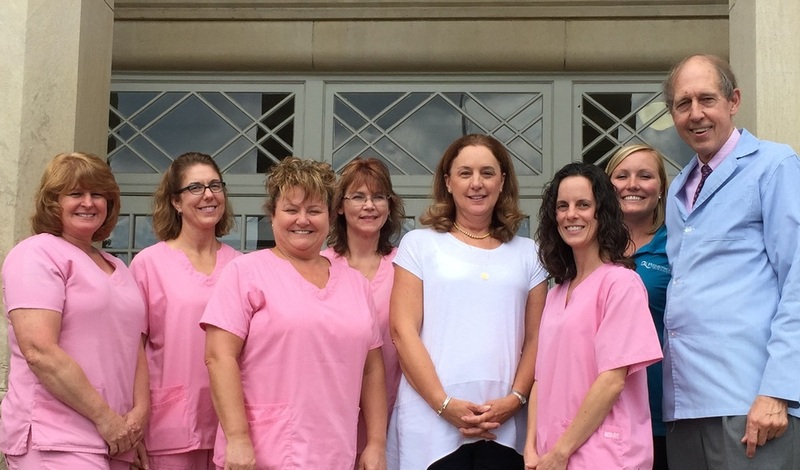 They are there to provide the best work possible, to make sure your patients leave your office excited about their new smile. If you have any questions, feel free to reach out to us, whether that be via phone, or email, and we will make sure to answer whatever it is, to make sure all your specifications are being met, and exceeded! Dr. Fain's office is located in a historic school building! Randi with Ben & Amanda: Current U of M students, who were previous Renstrom interns! Dr. Yakowicz is another doctor out of WI, we may not get to see him routinely, but are still able to get out and have some fun!